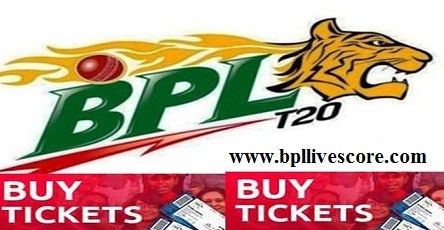 Where and How to Buy Online BPL Ticket | Bangladesh Premier League 2017. By the courses of time, we are now at the verge of yet another season of Bangladesh Premier League, country’s biggest T20 tournament. The fifth edition of prestigious BPL will start from November 4, 2017 and all the proceedings regarding is completed. BPL 2017 match tickets information have also been unveiled by the Bangladesh Cricket Board and with no doubt a number of people are looking forward to it. You can buy online BPL Ticket 2017. Keeping that in mind today, we will let you know all the details of BPL 2017 match ticket information. Please go through the complete article to know more. Dhaka Dynamites vs Sylhet Sixers match ticket buy online BPL 2017. Buy online bpl ticket Rangpur Riders vs Rajshahi Kings match today. All the proceedings of BPL 2017 ticket have been taken and according to the announced schedule, BPL 2017 match ticket will be available for sale from October 31, 2017. The match ticket will be available only in the branches of United Commercial Bank or UCB. It should be noted that tickets would be available in the Dhaka, Sylhet and Chittagong branches of these bank. Besides that, the match ticket of BPL 5 will be available in some fixed places and in some booths as well. A number of tickets of BPL 2017 matches will be sold via online. So far three online ticket platforms have been chosen to perform the procedures of BPL 2017 online ticket purchase. These three platforms are. Beside these websites or online ticket purchase platforms the match tickets of BPL 2017 will be available in the booth of Mirpur Shere Bangla Stadium Number 1 booth and Suhrawardi Indoor Stadium booth. If there is no match then these booth will remain open from 10 am to 6 pm. In Chittagong the tickets will be available in the booth of Zohur Ahmed Chowdhury Stadium and MA Aziz Stadium. Get all the latest updates of BPL 2017 matches here in our site. So keep visiting us and enjoy the BPL 5.